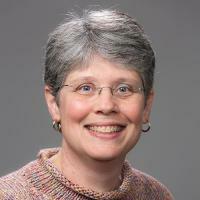 Ann Saterbak is director of the Duke Engineering First-Year Experience and a professor of the practice in the Department of Biomedical Engineering. She is a nationally recognized engineering educator with a focus on creating undergraduate programs that broaden students problem solving skills through real-world problems, inquiry-based learning, and hands-on experiences. In fall 2017, she launched a new hands-on design course for first-year Pratt students. Before coming to Duke, she was the associate dean for engineering education and full teaching professor in bioengineering in the George R. Brown School of Engineering at Rice University. At Rice, she launched a successful first-year engineering design course in which students solved community-based, client-driven problems and built physical prototypes. Her outstanding teaching at Rice was recognized by four university-wide teaching awards. She is the lead author of the textbook Bioengineering Fundamentals. For her contribution to education within biomedical engineering, she was elected a fellow in the Biomedical Engineering Society and the American Society of Engineering Education. Saterbak has been a frequent presenter of educational materials at annual ASEE and BMES conferences. In building the undergraduate bioengineering laboratory at Rice, she applied four years of industry experience working at the Shell Development Company. Innovations in undergraduate engineering education, particularly new pedagogical methods that broaden students’ problem solving skills and design thinking. Beier, ME; Kim, MH; Saterbak, A; Leautaud, V; Bishnoi, S; Gilberto, JM, The effect of authentic project-based learning on attitudes and career aspirations in STEM, Journal of Research in Science Teaching, vol 56 no. 1 (2019), pp. 3-23 [10.1002/tea.21465] [abs]. Pearson, YE; Phillips, CML; Beier, ME; Gilberto, J; Mattingly, SP; Saterbak, A; Sheng, Y; Shethia, AK; Sun, R, Evaluating the quality of project summaries for S-STEM proposals, Asee Annual Conference and Exposition, Conference Proceedings, vol 2018-June (2018) [abs]. Petney, M; Ng'anjo, SG; Phiri, JC; Wettergreen, M; Saterbak, A, Transformation of design instruction in a low-resource setting, Asee Annual Conference and Exposition, Conference Proceedings, vol 2018-June (2018) [abs]. Daniels, J; Sanlillan, ST; Saterbak, A, Tracking skills development and self-efficacy in a new first-year engineering design course, Asee Annual Conference and Exposition, Conference Proceedings, vol 2018-June (2018) [abs]. Corneal, L; Morrow, D; Volz, T; Saterbak, A; Conrad, S; Pfeiffer, TJ; Lamb, K; Kitch, WA, Panel: Embedding technical writing with experiential learning components into engineering curricula, Asee Annual Conference and Exposition, Conference Proceedings, vol 2018-June (2018) [abs].